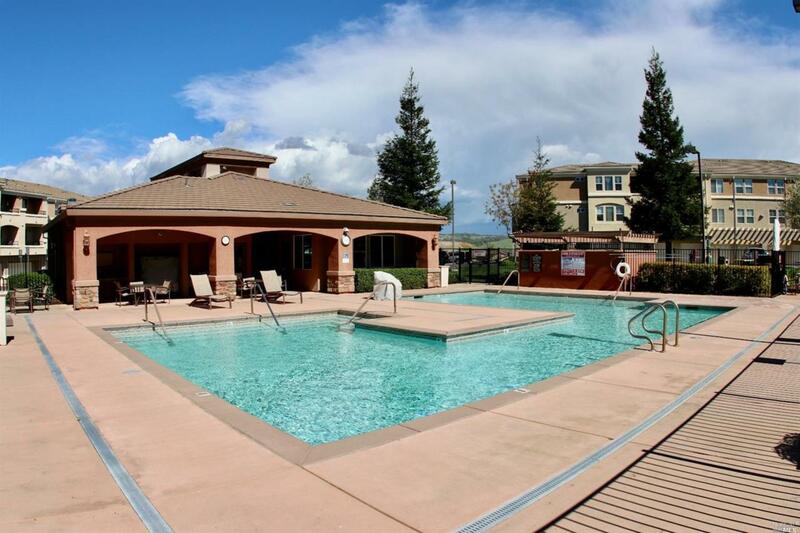 Super clean, move-in ready condo located in the desired, Gated Madrone Community of Empire Ranch! Features granite counters, breakfast bar, ceiling fans, & attached-direct access garage. Spacious master suite with large walk-in closet. This highly desired floor plan is a corner unit close to pool, clubhouse and fitness center. Fantastic location within walking distance to Russell Ranch Elem & 1.5mi to Vista Del Lago High. Minutes to shopping!